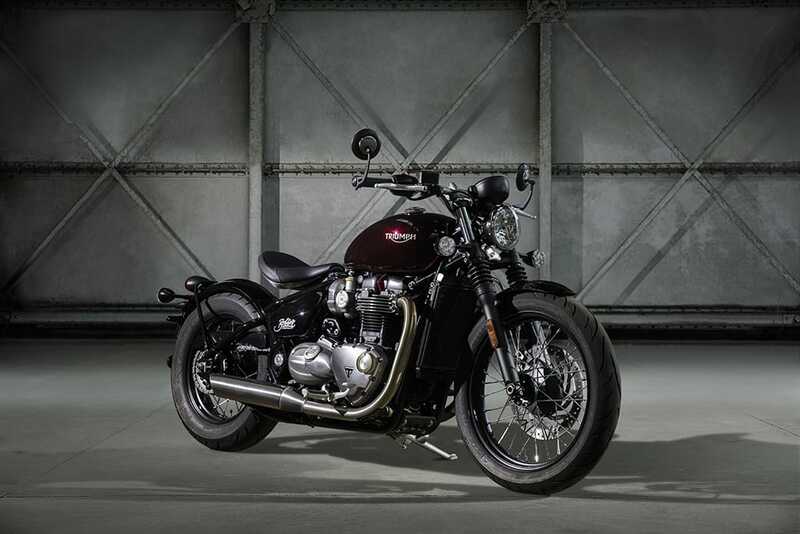 The Hinckley Triumph Bonneville is sixteen years old, and like many teenagers, is showing a rebellious nature – the once easy going, popular and much loved Triumph Twin, no longer wants to be that ‘popular’ kid, Bonnie wants to be a tough little Bobber! 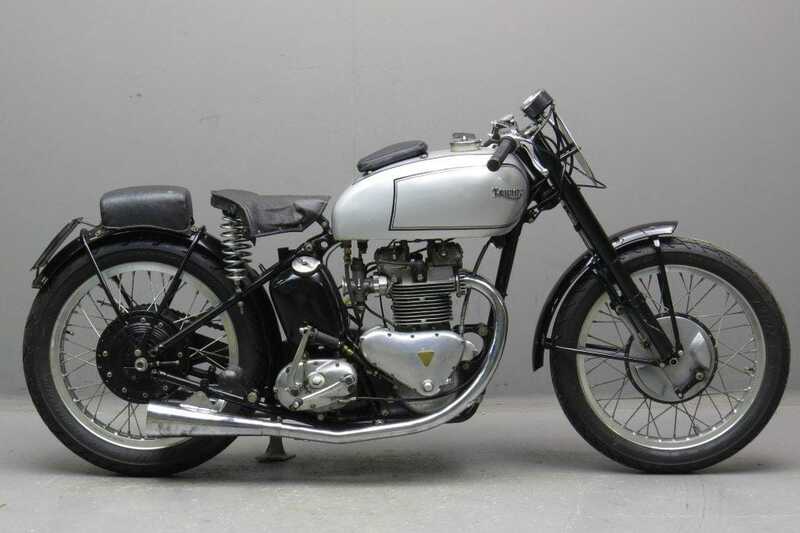 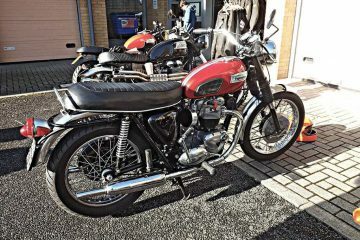 A style made popular in the post war boom of readily available motorcycles, combined with a young generation wanting speed and a need to be different from their parents, and It looks like our Bonnie has nailed the ‘Bob-Job’ look to a….T! 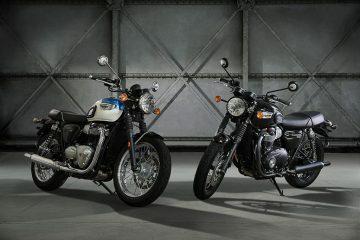 But unlike many parents, Triumph are encouraging Bonnie’s rebellious nature, a nature her dear old grandmother exhibited so many years before, even putting on a party in South East London to celebrate the new look, which is no surprise, as this once ‘pretty’ Triumph is now a real stunner. 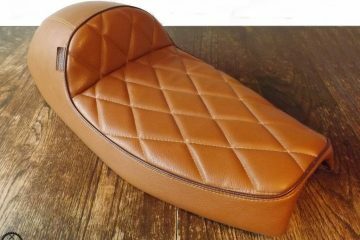 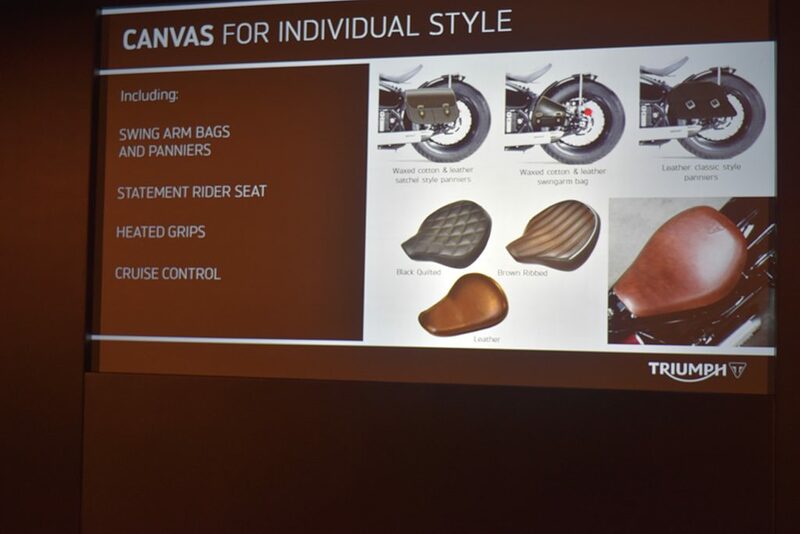 Triumph clearly have put a lot of work into their new factory custom, designing a frame that is not only unique to the Bobber, but will also be the first in the Classic range that won’t need ‘bobbing’. 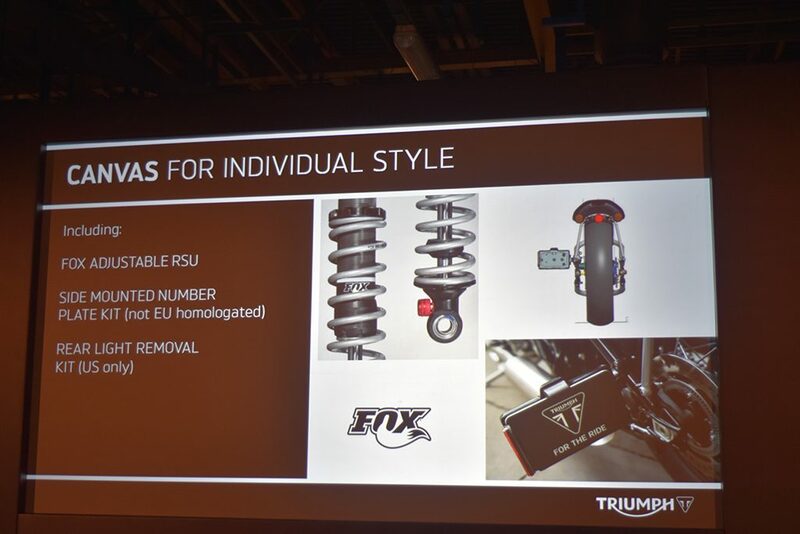 Which for future owners and customisers is a good thing. 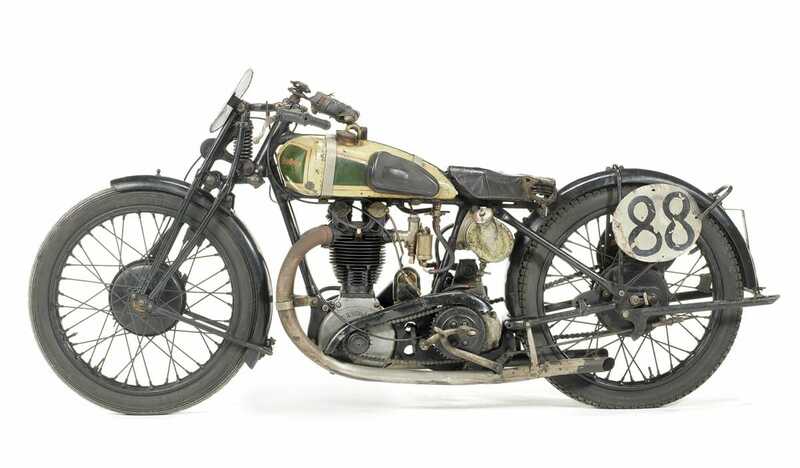 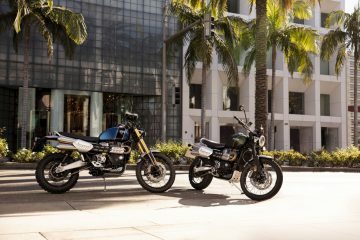 It’s no secret that both the air and water cooled Twins are a little long, and shortening the frame five or so inches instantly improves the appearance, but for many permanently modifying their motorcycle is a step too far. 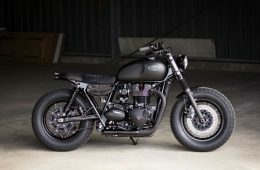 Looping can also be relatively expensive, and it puts some aspects of customising into the hands of the few, something that I feel can stifle creativity. 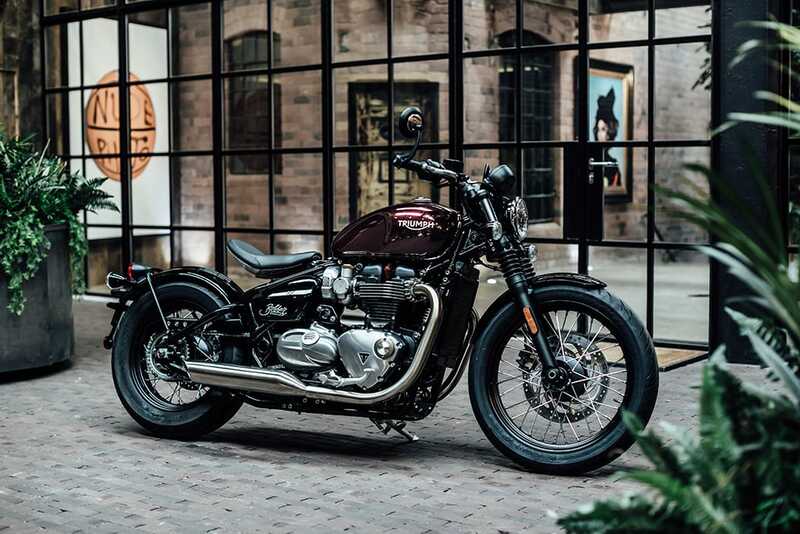 With the new Bobber, the frame appears perfect out of the box, removing the need for expensive and permanent modifications, meaning the shed builder is now more than ever capable of building their perfect custom. 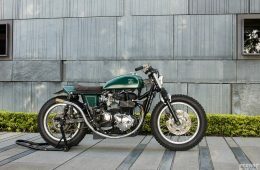 The Bobber frame utilises a ‘cage’ swinging arm mono-shock design – potentially reducing the cost of shock upgrades, common with Triumph Twins, but with Triumph working with FOX Suspension, shock upgrades on the Bobber may become less of a priority, allowing the owner to direct his or her cash to more exciting modifications, though, having not yet ridden the Bobber around Triumphs car park at 10mph, only time will tell. 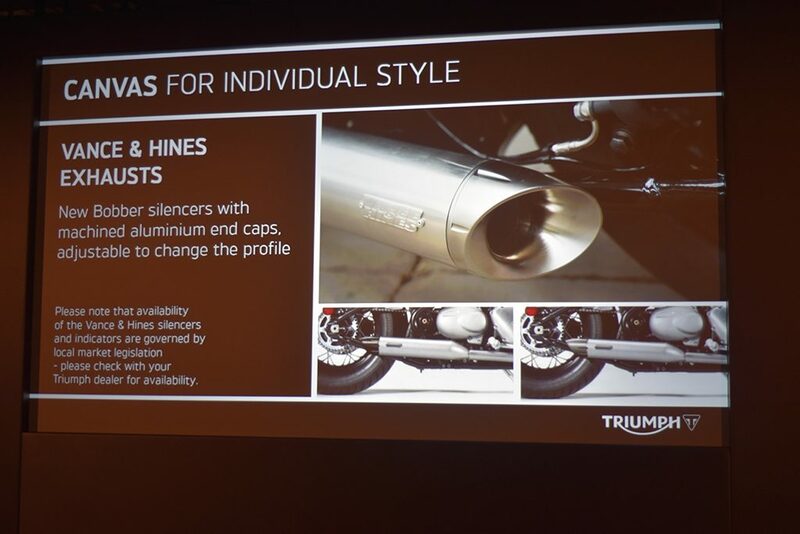 Like the other motorcycles in the Classic range, owners of a Bobber will be able to choose from the one hundred and fifty high quality accessories Triumph have designed specifically for the Bobber, including; Ape bars, side mounted number plate bracket, saddlebags and Vance and Hines exhausts, some of which I’m sure will find their way onto other Hinckley Twin models. 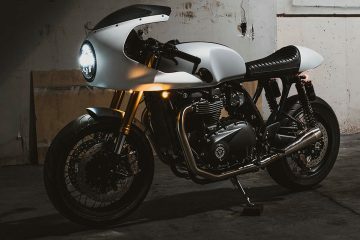 It’s clear where Triumph are taking their new factory custom, a direction which many will love, though for some the Bobber is an abomination, well you can’t please everyone. 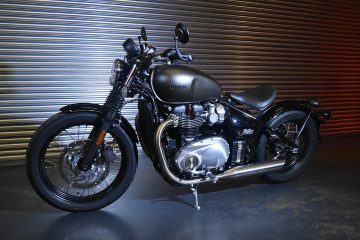 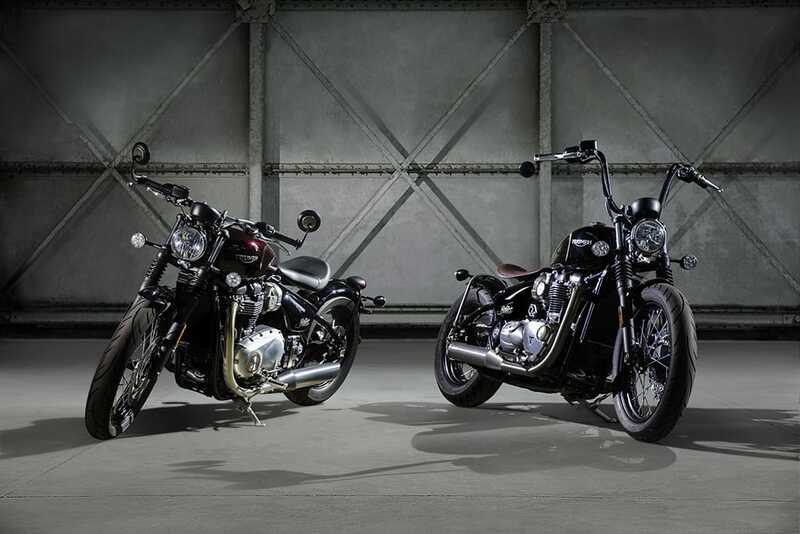 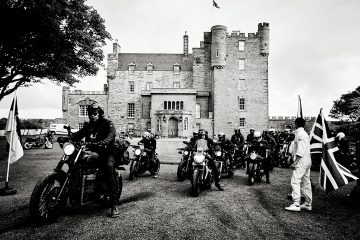 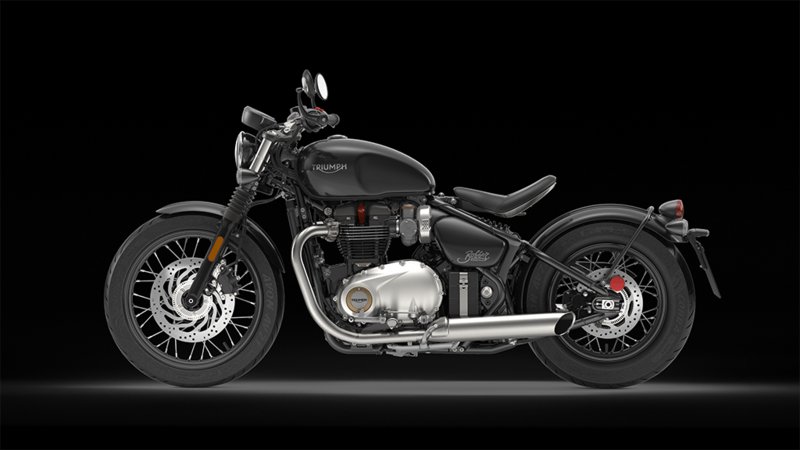 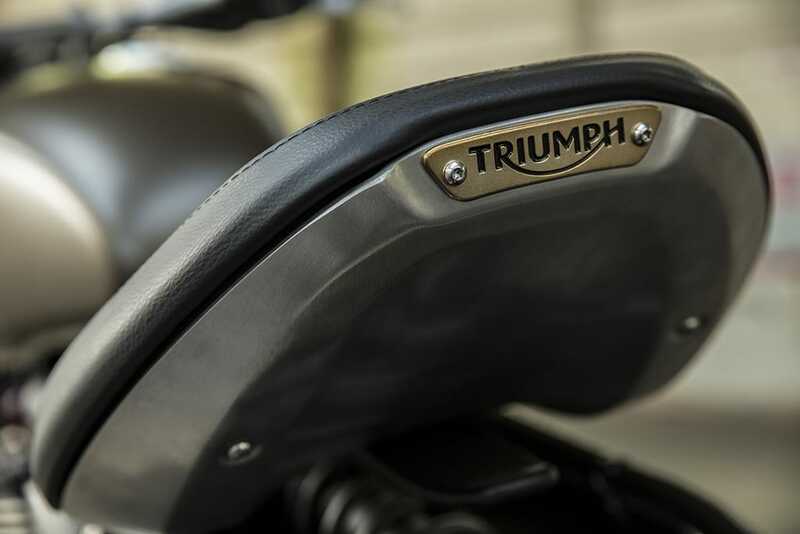 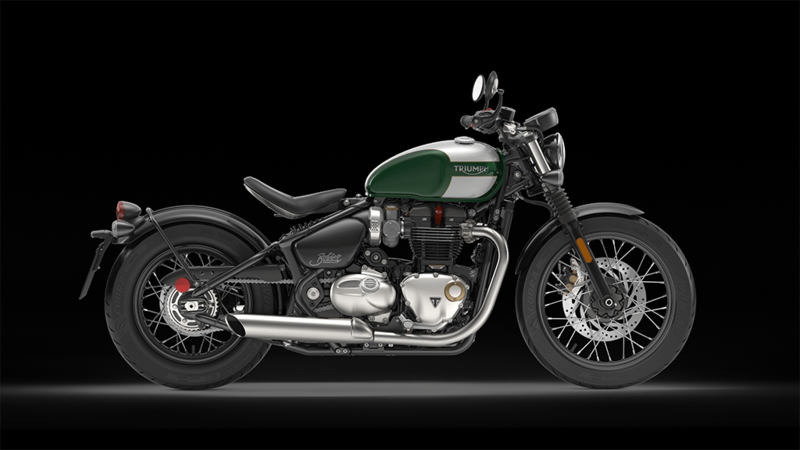 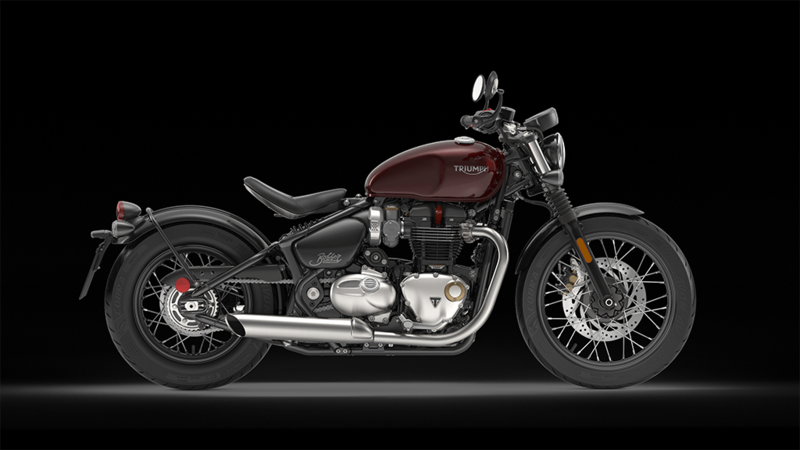 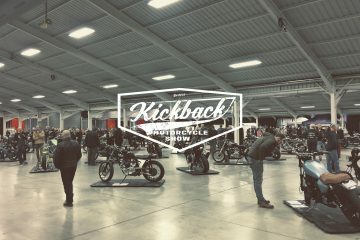 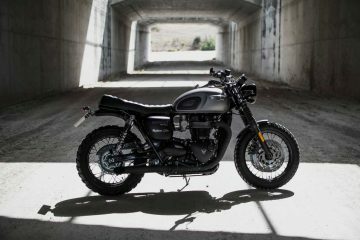 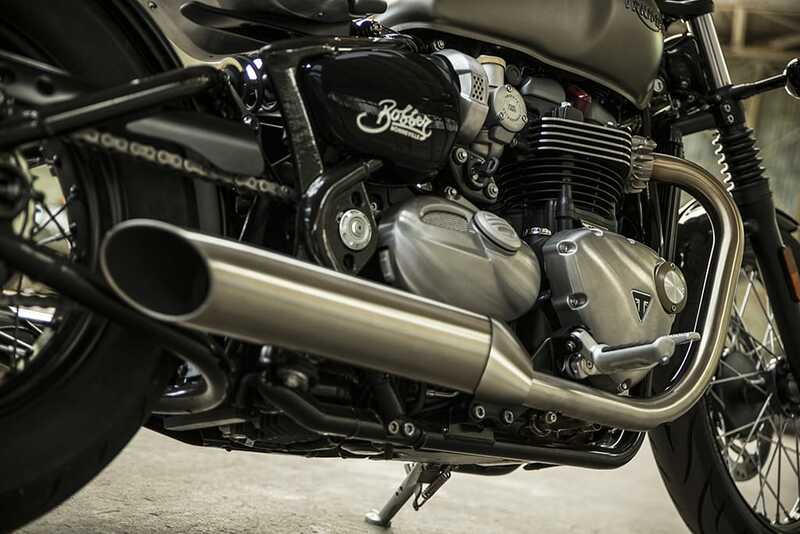 Triumph are not in business to just cater to the snobbery of the self styled motorcycling elite, Triumph are in business to sell motorcycles, and the new Bonneville Bobber is going to sell! 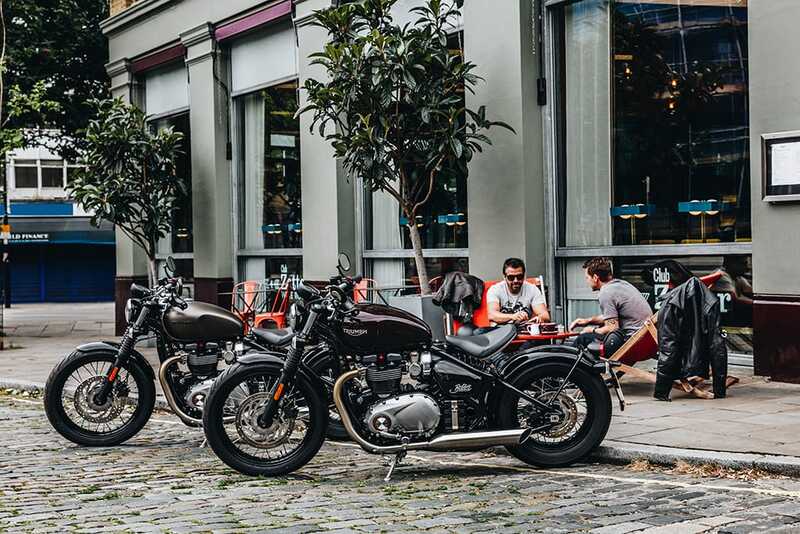 For those of us who require a more bespoke custom, like all previous generations of Triumphs, the Bobber represents a great starting point for customisation. 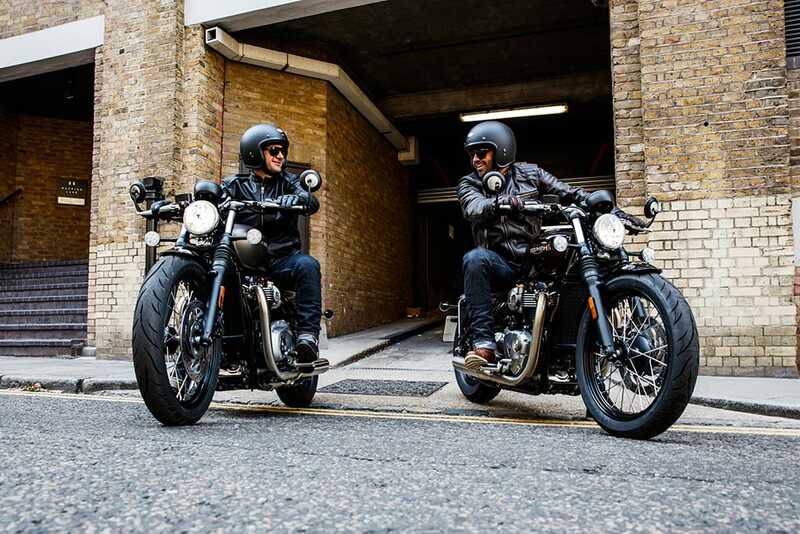 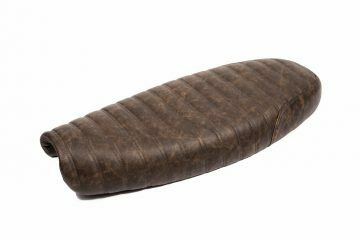 Rest assured as soon as the Bobber is made available someone will fit fatter vintage or knobbly dual sport tyres, but that’s to be expected, its is after all the Bobber’s heritage. 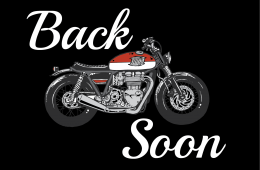 Ten years ago aftermarket parts and accessories were thin on the ground, skip forward to today, there are now a plethora of bolt on goodies, not only for the air-cooled machines, but also for the new water cooled models, and with each week that passes, more become available. 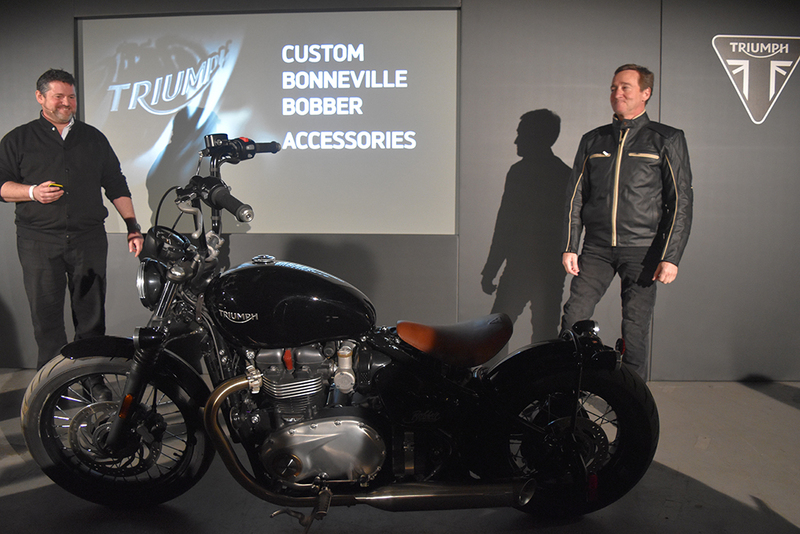 With the release of the Bobber, there are sure to be even more to choose from, parts which will take the Bobber in a whole new direction, many of which we will try and feature on Bonnefication. 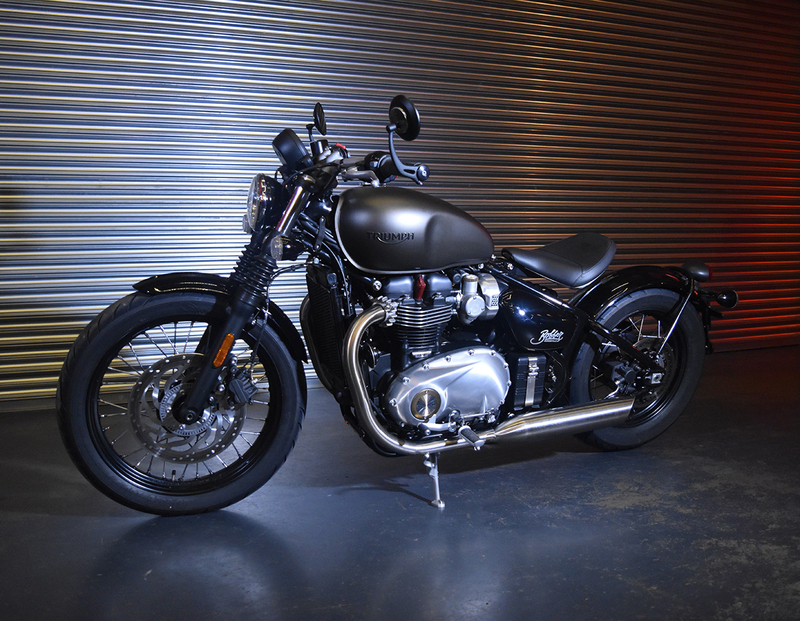 There are of course those that also believe the Bobber will dilute the custom scene!… sorry! 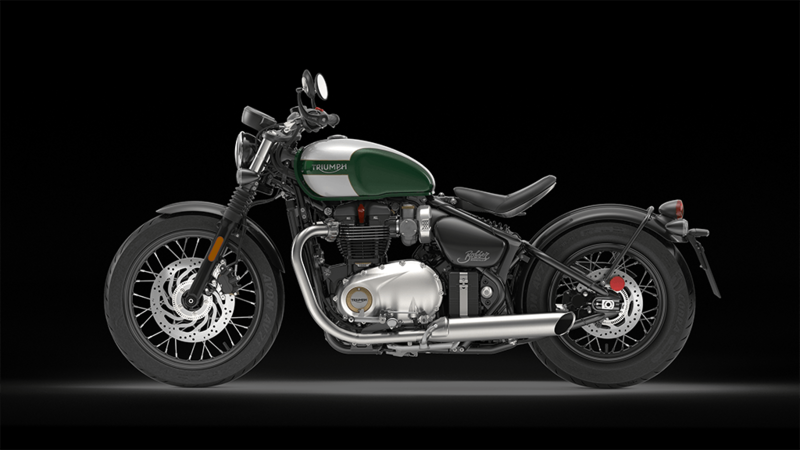 this… ‘scene’ was diluted long ago when rich businessmen could ride around London on a tricked out, bought, not built customs, with no idea on what made the bike they were riding cool. 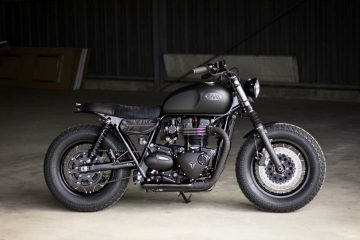 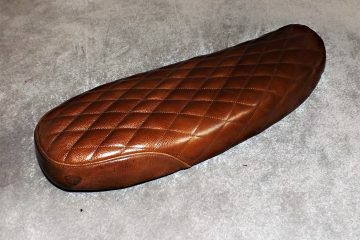 There are others who just love to modify, not part of any ‘scene‘, for these people the Bobber is a blanc canvas. 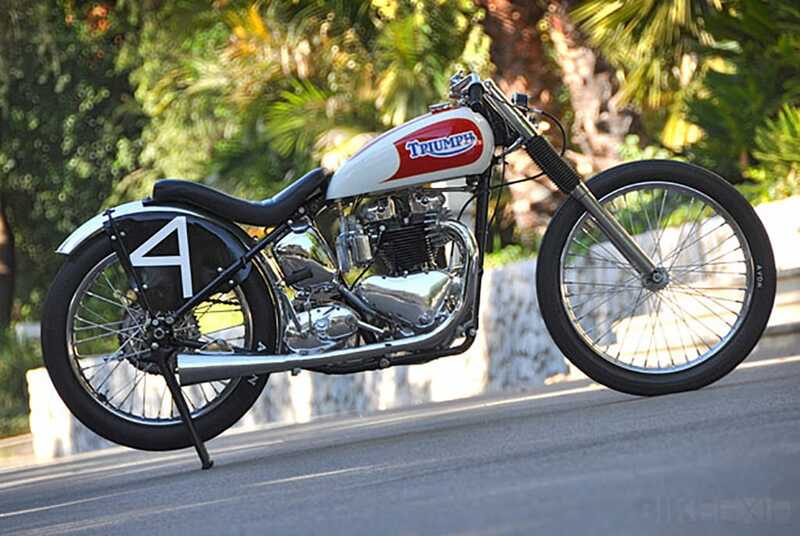 Many will continue with the Bobber hot-rod journey, while a few may take their influences from Triumph’s long and fascinating history. 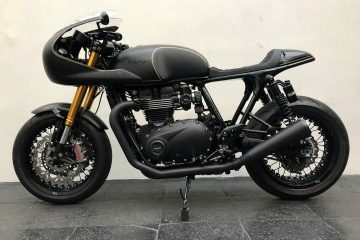 Perhaps transforming their Bobber into something more vintage and less custom, something along the lines of my on concept build pictured above. 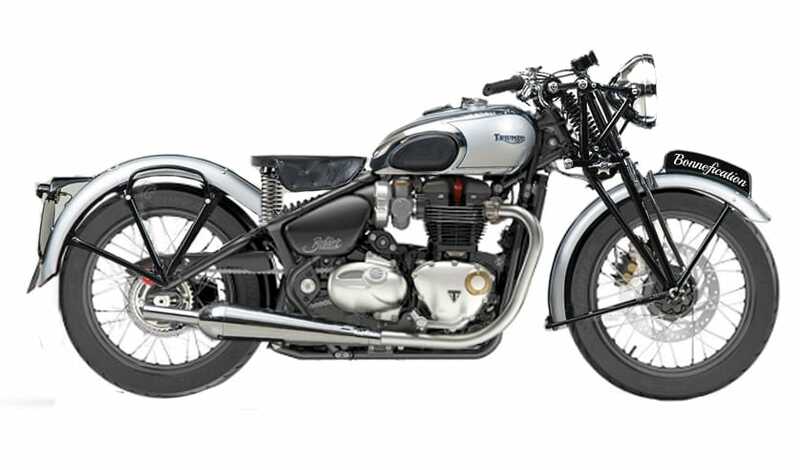 Or perhaps a build a homage to a 1949 Triumph 498cc Tiger 100 Grand Prix pictured below. 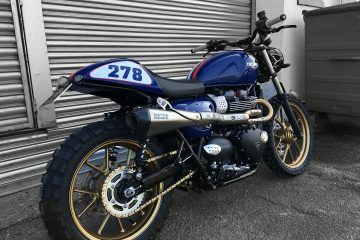 What ever direction people take their Bobber, be it using factory or aftermarket accessories, to full on custom build, you will be riding one hell of a Triumph Twin!